Online tee times are not availabile for Arrabida. The Arrabida golf course formally known as Palmela Village was designed by Jorge Santana da Silva in a residential resort. 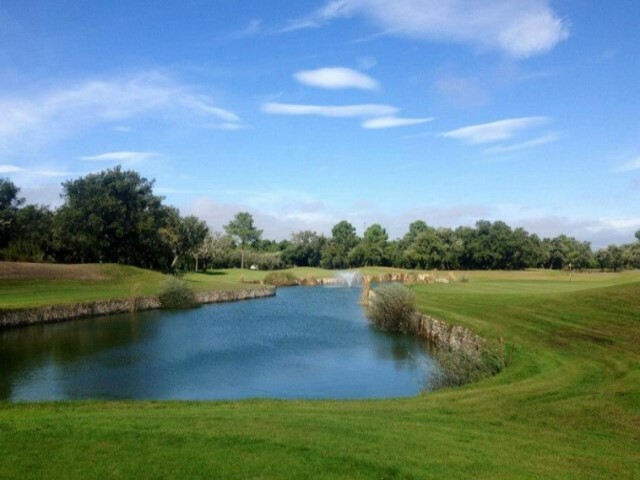 The course is easily reached by the motorway from the capital as it lies between Lisbon and Setubal. The architect of the Arrabida golf course has created a setting which preserves as much of the natural landscape as possible with consideration to protecting the environmental areas. The Club House which is surrounded by the last three holes provides a good location on the terrace for players to watch the game of other golfers whilst enjoying that well earned drink. There is also a well stocked pro-shop to serve all visiting golfing needs. To post a review, score or a notice on Arrabida page's or to connect with other Arrabida golfers, please log in to your account or sign up using Google or Facebook.